On this daily tech podcast, I enjoy exploring how technology is transforming multiple industries, especially in areas that you don’t normally associate with technology. Looking back to my IT days, I still remember the days of clunky HR software and found myself wondering how much things have changed and how HRTech employee benefits administration technology have evolved. When searching for answers, my quest led me to serial entrepreneur, Rachel Lyubovitzky who is armed with leadership experience that spans the full spectrum of strategic and tactical activities in the software technology industry. She holds Wharton Executive MBA and Brandeis Computer Science degrees and is also an investor in TechStars and Impact Health. EverythingBenefits revolutionizes every aspect of benefit delivery experience: from streamlining benefits enrollment and management to delivering the best coverage options while driving down costs and eliminating manual process frustration for companies and their employees. The company is based in New Providence and provides the next-generation of automated benefits technology that uncovers hidden costs, eliminates errors in healthcare for employees and keeps companies compliant. It automatically sends data and selections by employees directly to all healthcare providers (vision, dental, etc.). They have 3,000 clients and 600+ carriers partners, just moved into a new office. 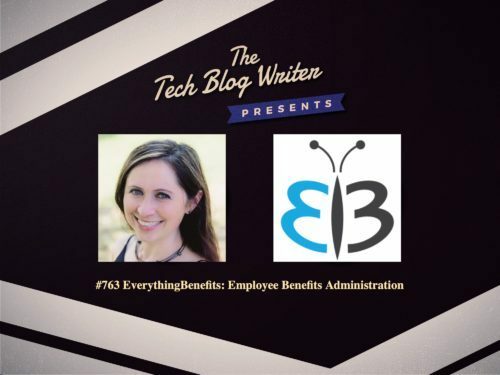 I wanted to find out more about benefits tech, HR tech, and Rachel’s story, so I invited her onto today’s show.